This tutorial is to set up Tickera. 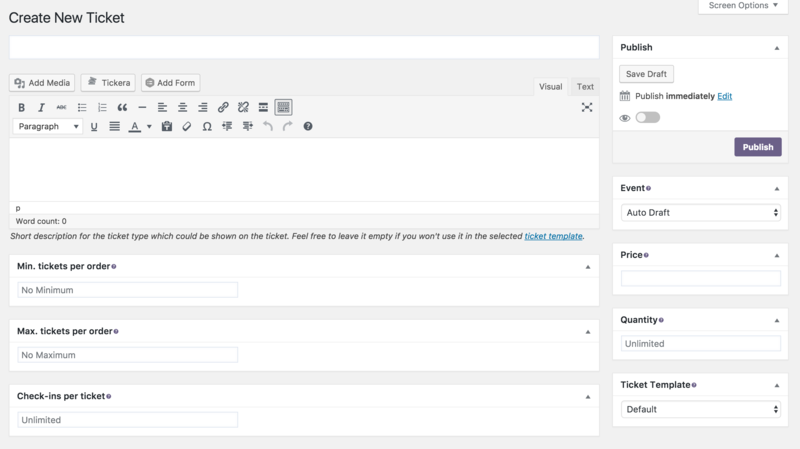 Tickera is a powerful plugin to sell event tickets on your site. You can go ahead and create your ‘Events’, clicking on the related menu item. Now it’s time to create your tickets. 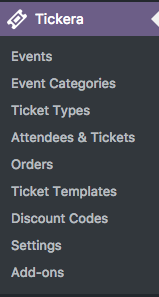 To display the ticket registration on your page, enter the shortcode [tc_event id=”##ticket_id##” quantity=”true”] in your Registration component. Please be sure to replace ##ticket_id## with the actual id of your event.